P.S. 63 William McKinley Hopes New Name Will Make It a S.T.A.R. P.S. 63 no longer wants to be associated with President William McKinley. The East Village school, which serves students from pre-kindergarten through fifth grade, is seeking to change its name to P.S. 63 S.T.A.R. Academy. Principal Darlene Despeignes said the current name, P.S. 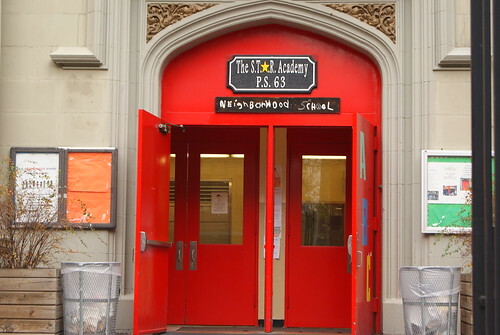 63 William McKinley, no longer reflects the nature of the school, located on East Third Street between First Avenue and Avenue. Last year, she brought the issue to District 1’s Community Education Council, which told her should could start re-branding as the S.T.A.R. Academy. After more than 100 years in operation, the school now has S.T.A.R. signage up in the hallways and outside. S.T.A.R., which stands for Students Taking Active Roles, is a behavioral management and character education program that encourages students to be active participants in school culture. Students interview and apply for in-school “jobs”; an “E.M.T.,” for instance, is responsible for taking hurt or sick children to the nurse’s office during recess. District 1 is a choice district, meaning parents can choose which public school their child attends starting in kindergarten. A school’s budget is based on the number of children attending the school, which is why it is important to stand out. Ms. Despeignes said she wants her school to appeal to the new and ever changing families that come to the East Village. Before it goes to schools chancellor Dennis Walcott’s office for final approval, the school will need to get the approval of both Community Board 3 and the District 1 Community Education Council. Ms. Despeignes doesn’t think this will be a problem. Tomorrow, the school will officially request approval for the name change at a Community Board 3 Youth and Education Committee meeting, in hopes of receiving approval that night after a public comment period.